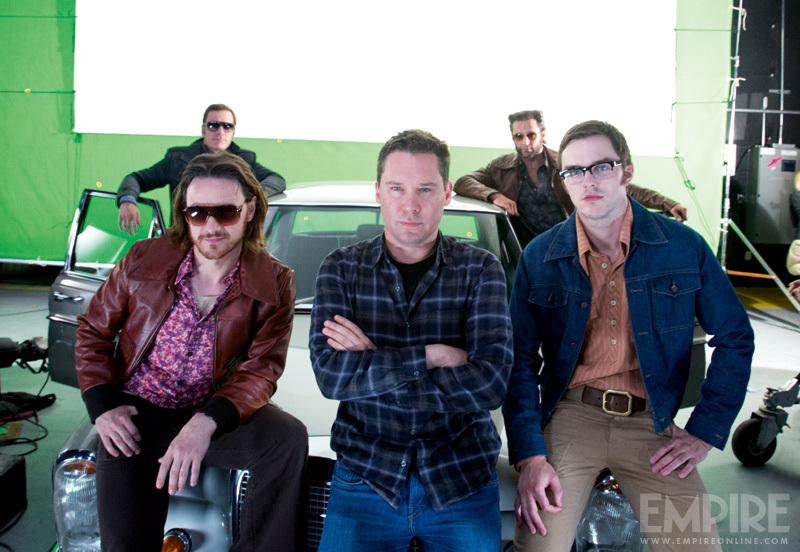 Here's a new photo from the set of Bryan Singer's X-Men: Days of Future Past featuring the director with his cast of characters sporting their cool '70s style sunglasses. The pic features Hugh Jackman, Michael Fassbender, James McAvoy, and Nicholas Hoult. I'm really excited for this movie, and I can't wait to see more footage from it! The ultimate X-Men ensemble fights a war for the survival of the species across two time periods in X-MEN: DAYS OF FUTURE PAST. The beloved characters from the original “X-Men” film trilogy join forces with their younger selves from “X-Men: First Class,” in an epic battle that must change the past – to save our future. The film is set to be released on May 23rd, 2014. 12 Photos from X-MEN: DAYS OF FUTURE PAST! X-MEN: DAYS OF FUTURE PAST - Amazing First Trailer! The Tick and Arthur Return To Defend The City in First Trailer For THE TICK Season 2!